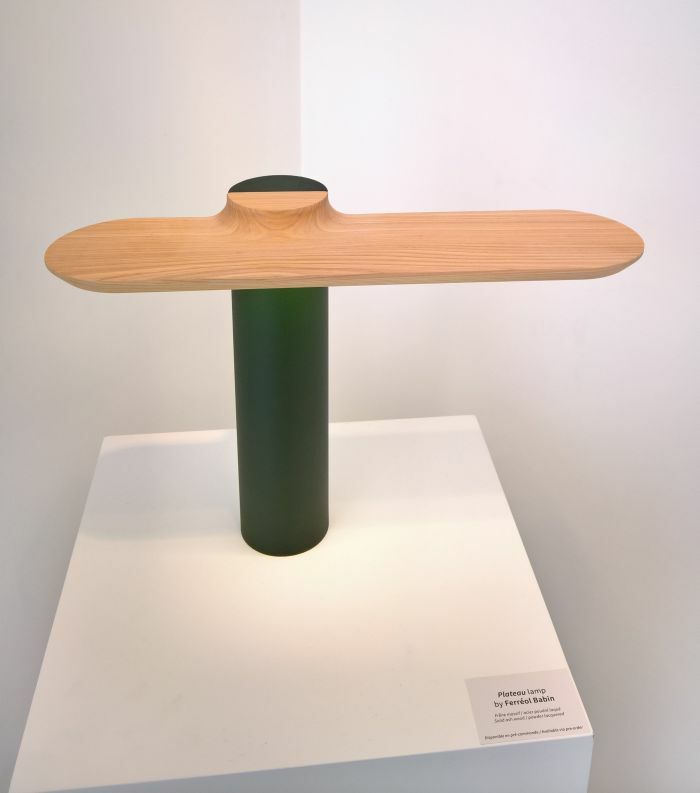 It is a universal rule of life that some of the most pleasing things occur unplanned, and that is certainly the case when visiting a design week, events where the disappointment that invariably arises visiting shows you intended to, is quickly offset by something you stumble across per chance. So too was it as we turned into the Rue des Coutures-Saint-Gervais, our thoughts less concerned with where we were or where we were going as with where we had been and for all why we’d been where we’d been, then we passed number 14. Stopped. Went back….. 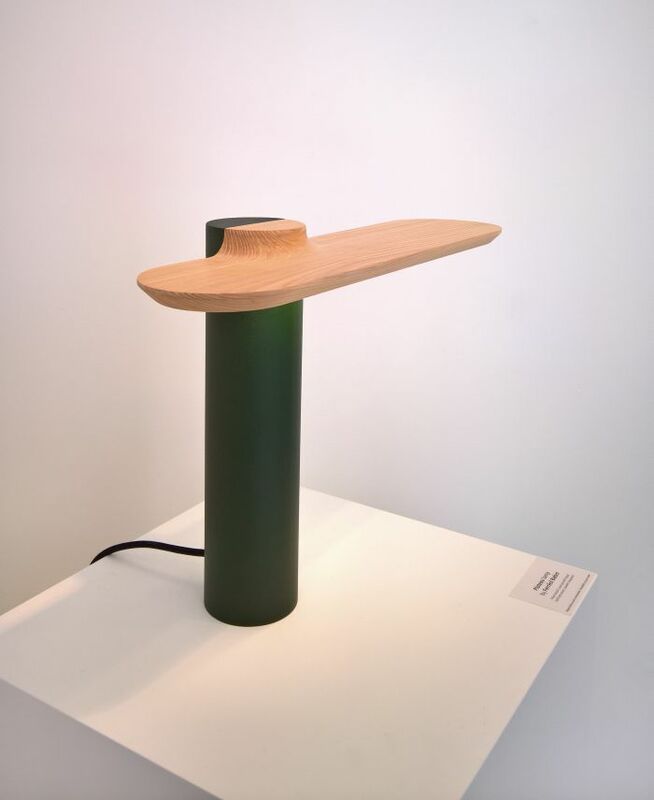 Although not formally part of Paris Design Week, in spirit the Plateau Lamp by Ferréol Babin for Daniel Edition very much was, and was certainly one of the more engaging projects we saw and so we’re happy to pretend it was. Established by Etienne Delorme, and named after his cabinet maker father, Daniel Edition is a new label and is launching its first collection via a Kickstarter campaign, a pop-up store in Paris being part of the promotion for the first collection, and the Kickstarter campaign. While Kickstarter is regularly used by designers to launch single items, its use to launch a label is less common, if every bit as interesting and valid: not least because you get (more or less) instant feedback as to if what you are doing resonates with a large enough group to justify investing further in the project, not that one should ever make future decision based on public feedback alone, but that feedback can help in considerations on future directions, future collections. In terms of Daniel Edition’s first collection we were most taken with the Plateau Lamp. 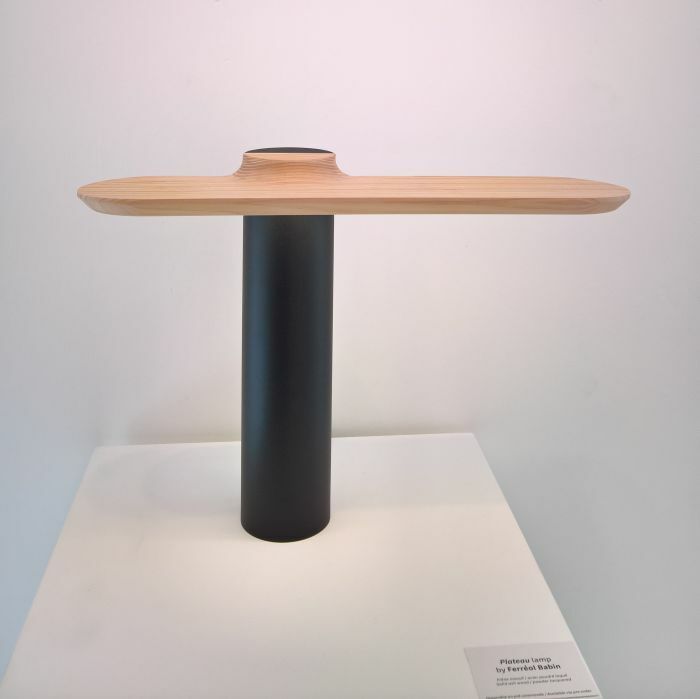 One of those pleasingly complexly simple objects Plateau Lamp is a lamp with a plateau: a powder coated steel base supporting an solid ash horizontal into which an LED strip is embedded. The material contrast, and also the juxtaposition of the visual weight of the base and lightness of the head, coupled to the very nicely considered proportional relationship of the two elements makes for a visually very satisfying object, while the asymmetry of the plateau neatly underscores the apparent inherent contradictions and thereby helps bequeath the complete a cohesion and consistency that is most pleasing; and additionally means when not in use as a lamp it can stand quite happily as decorative object, an important consideration in contemporary home office environments when you may not want to underscore that your desk is a desk. And we see the home office desk, or simply the home secretary, as Plateau’s natural home. Natural but not exclusive and can well imagine it in numerous other locations. All in all a thoroughly charming piece of work, and one whose acquaintance were very glad to have made, not least because of the chance nature of it.